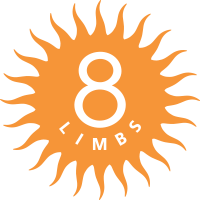 8 Limbs Capitol Hill was our first location, founded in 1996 in the Pike/Pine section of this centrally located neighborhood. Our Surya (Sun) Studio has large South facing windows. In 2003 we added the more intimate Chandra (Moon) Studio, located behind our front desk and Boutique. We use it for smaller classes, yoga privates, and Teacher Training. A skylight was added in 2014. At Capitol Hill you will find a dedicated community of students and our main office & Boutique. 8 Limbs Capitol Hill is on the second floor, with stairs as the sole access. Ample bicycle parking available. Street parking is mostly metered. A rooftop parking lot is available above 420 E. Pike St, entrance on Summit Ave E. between Pike and Pine. Airbnb often has affordable apartments within a few blocks of our Capitol Hill studio at 500 E Pike St. and The Summit, 420 E. Pike St., the space we rent for our larger events.